Next on The Scoop: Can Navigating End-of-Life Decisions With Cats Help Us Later With Human Loved Ones? 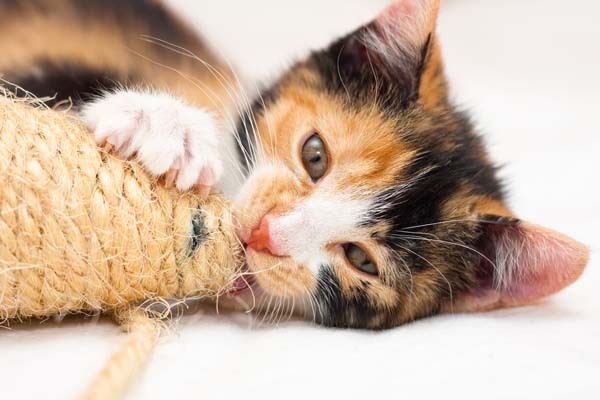 Contrary to what your cat may say, he does need a bath from time to time, such as when his coat becomes discolored, stinky, or overly oily — or any combination of these three, with company coming for the holidays! Cat Shampoo — This gentle, pH-balance shampoo contains only natural cleansers and conditioners, including coconut, aloe vera, and wild cherry. The company says it leaves the skin moisturized and the coat manageable, soft, and shiny. Cat Foam — If your cat despises any water not in his bowl, this grooming foam simply rubs on and towels off, having whisked away dander, dirt, and residual saliva. Earthbath says it leaves the coat shiny, as well, and helps control shedding. The company also points out that all of this benefits any humans with allergies, whether they’re living with the cat or just visiting. It comes in a green tea or hypoallergenic formula; the latter is good if your kitty also has a sensitivity to allergens. Cat Wipes — These wipes work like the foam does, with two formulas available: Green Tea and Hawaiian Awapuhi. The company says both moisturize the skin, condition the coat, and leave behind a healthy shine. Comment below using your Disqus account, telling us about bath time with your cat. Bonus points for photos! Our favorite comments win. You must be a resident of the U.S. to score this prize. Check your email for a “You’ve Won!” message from us after noon PST on Thursday, Nov. 27. We’ll give each winner two days to respond before moving on to our next favorite.